The other stop on this wonderful journey is in Tuscany: the perhaps less romantic and less well-known hills and valleys of Maremma. Tough and strong, just like the men and women who live there; regal and proud as the horses that gallop tirelessly across its landscape; it is a place for camping in the pristine wilderness alongside the Buttero and their amazing horses. The term Buttero refers to Maremma’s horseback herders. The name comes from the Greek boútoros (= oxen herder). Taken broadly, this term could be considered the Italian equivalent to the American Cowboy. 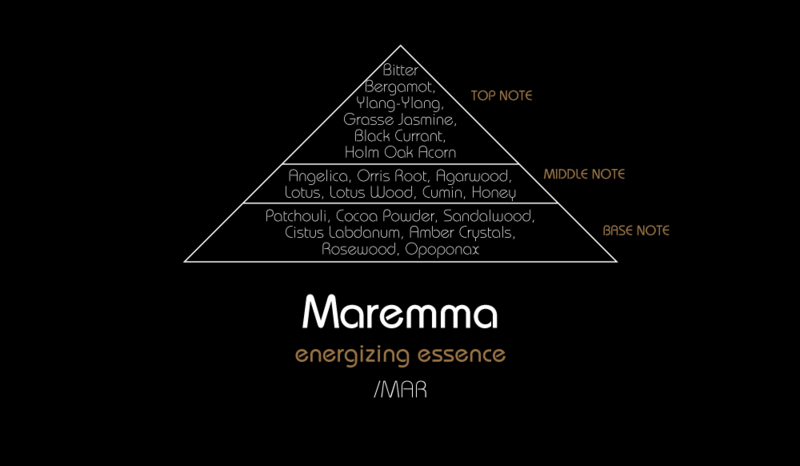 This complex and multi-faceted perfume exudes the power of this place. Filled with fruity and floral notes native to the Maremma landscape together with strong leather and wood tones makes this perfume incredibly long lasting. Its black bottle contains all the charm of this wild and fascinating land, one of the least well-known corners of Italy, yet one brimming with wonders.